Summary of today’s show: The community of Brazilians in the Boston area is the largest in the world outside of Brazil and the Brazilian Apostolate of the Archdiocese of Boston cares for the spiritual needs of this primarily Catholic community. Fr. Michael Harrington of the Office of Cultural Diversity; Fr. 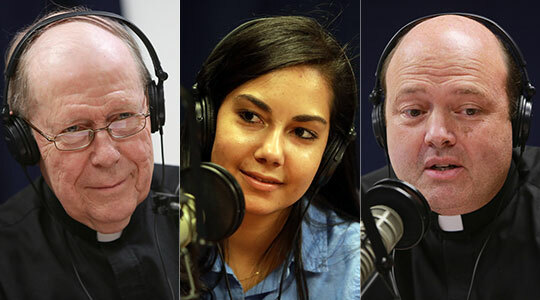 John Devin who serves the Apostolate; and Jennifer Prudencia, a young woman of Brazilian origin, join Scot Landry and Fr. Matt Williams to talk about this vibrant apostolate as well as the celebrations for the upcoming Feast of Our Lady of Aparecida, the patroness of Brazil.